During our six week school holiday break I am having three of those weeks off with JJ so I need to find things we can do together so we don’t tear each other’s hair out with boredom. On New Year’s Day I wasn’t suffering from a hangover or a severe lack of sleep so I decided to find something crafty we could do together with bits and pieces we had around the house. I’m not that creative when it comes to thinking of things like this so it’s just as well there are websites like Kiddley to draw inspiration from. 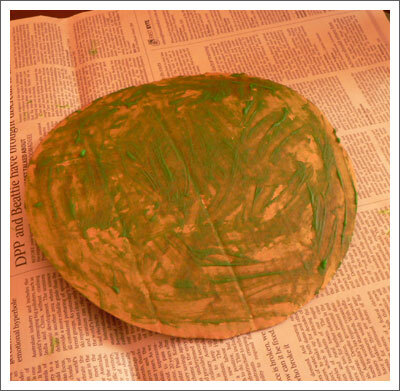 I actually didn’t find the activity we ended up doing on Kiddley, but found a website called Kids Craft Weekly where we found out how to make a dinosaur from a paper plate. 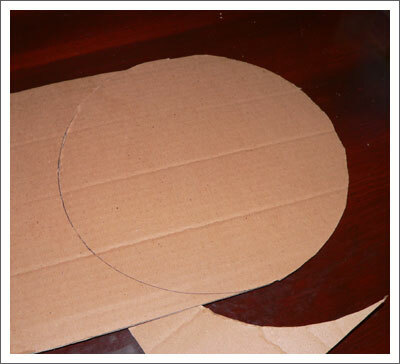 We didn’t have a paper plate so I found some cardboard and used one of our plastic plates to draw a circle. We were then supposed to paint the piece of cardboard with acrylic paint. The only paints I have were cheap acrylic type paints and didn’t cover the surface very well so it looked a bit cacky but it still gave it a green base. I then drew on the back as instructed to cut out the legs, head and tail, luckily found some stick pins in the toolbox and put it all together. We didn’t have the suggested embellishments but had some bright cardboard small dinosaurs which we stapled to our stegosaurus and some feathers for good measure and we had a finished product. We were both pretty pleased with ourselves. Here is the finished product. We’ve borrowed the image from the Kids Craft Weekly website. Along the dinosaur theme I bought tickets to go to the live ‘Walking with Dinosaurs’ show on in March. It’s supposed to be pretty good and hopefully we’ll both enjoy it and JJ won’t get too scared. The dinosaurs are lifesize and pretty noisy so it could be a bit scary. I won’t be leaving the show if JJ gets scared so perhaps I’ll take some earplugs if it freaks him out too much. What a great way to spend time with your kid. Good for you. I miss those days of doing crafts. Science projects just aren’t the same. Very cool! I like that the legs are movable.